If you’re looking for a way to spend your tax refund wisely, Lenovo has two products that might offer the best price-performance ratio in the industry. You don’t have to be a US resident to purchase either device (or at least a close approximation), but you won’t likely find as good a deal as you will at Best Buy for the $900 Lenovo Thinkpad Yoga 14 or at Costco.com for the Miix 700 tablet, currently discounted $200 through the end of April. I first reviewed the original Best Buy exclusive Thinkpad Yoga 14 in the middle of 2015 and the convertible laptop has been updated several times since then while the price has remained constant. The current version, model 20FY0002US, features a 2.3 GHz 6th Gen Intel Core i5-6200U processor, 8 GB of RAM, 256 GB SSD and NVidia GeForce 940M graphics. An integrated, rechargeable Thinkpad Pen Pro (Wacom ActiveES stylus) is included. 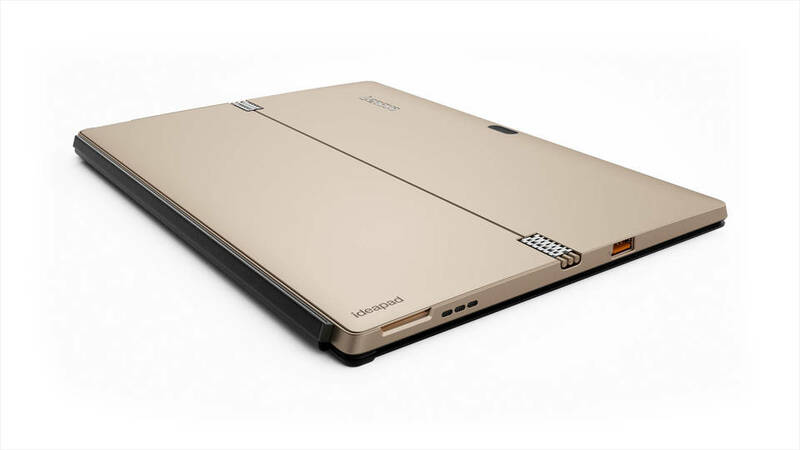 The TPY14 is not sold online at Lenovo.com. 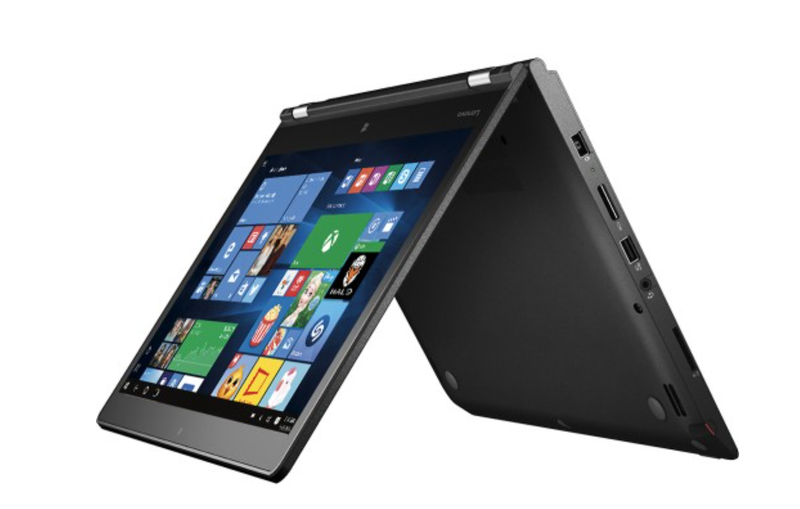 Instead, the closest equivalent is known as the Thinkpad Yoga 460 (Black). Configuring that model to match the Best Buy version will cost at least $1449 (currently discounted 10%) but does not include the discrete gpu. For reasons known only to Lenovo, none of its online offerings seems to offer an NVidia option. The TPY14 is the nearly perfect desktop replacement convertible. You might quibble about the FHD (1920x1080) display which doesn’t boast the widest color gamut or brightest output, but I find the roomy 14-inch screen perfectly acceptable. 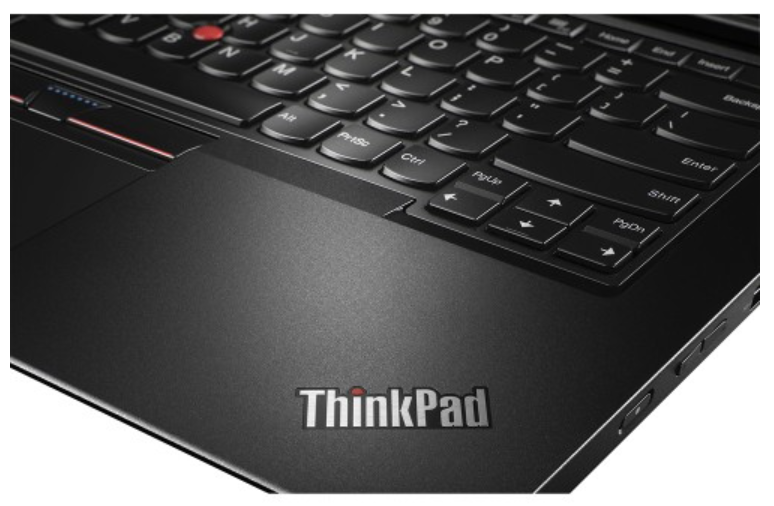 The keyboard is typical of Thinkpads: with comfortable spacing and nice key travel. The trackpad is improved over the earlier versions. The laptop is equipped with 3 x USB 3.0, Mini DisplayPort, HDMI, OneLink+ and 4-in-1 media card slot. Wireless-AC, Bluetooth 4.0, microphone and 720p HD webcam round out the package. Top to bottom: the integrated rechargeable Lenovo Thinkpad Pen Pro stylus, the Thinkpad Pen Pro active capacitive pen and the recommended Toshiba dynaPad TruPen. Note the very short exposed nib on the middle pen. While the integrated stylus is nice in a pinch, serious users will want to purchase a full size pen. The Lenovo Thinkpad Pen Pro active capacitive pen is available for about $40, but I recommend the more expensive Toshiba DynaPad TruPen, which is now available for separate purchase from a variety of online outlets including Amazon and Toshiba.com, whose sales are fulfilled by CDW. The DynaPad TruPen offers a much better drawing experience, with longer, softer nibs and a much greater hover distance. The nibs seem to deteriorate quickly, but fortunately Toshiba is the first Wacom AES OEM to also offer packs of 5 replacement tips. The soft TruPen nibs offer significantly more resistance than the standard Pen Pro, but the display is still a little slippery. I haven’t tried one yet, but a screen protector would be advisable if you intend to draw on the TPY14 full time. Drawing performance is as good as any Wacom ActiveES device, with great accuracy and 2048 levels of pressure sensitivity. The TPY14 is also compatible with the Wacom Feel driver, so you’ll be able to configure the pen buttons and create a radial menu if you like. System performance is excellent, with the laptop ranking just above last year’s models in various benchmarks. 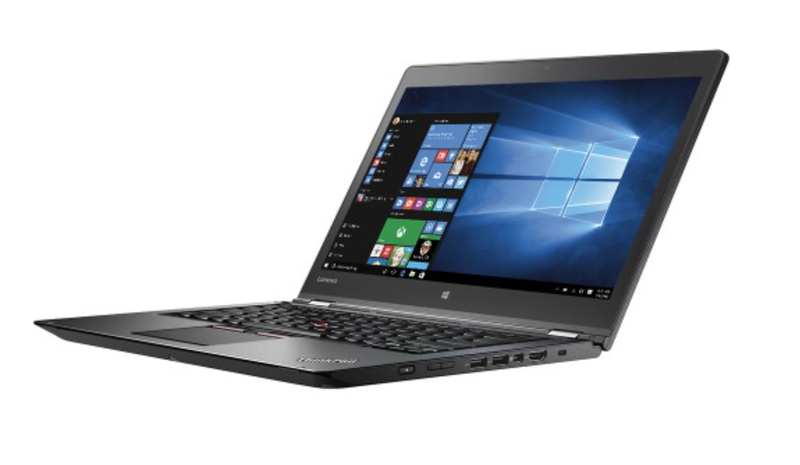 For its price class, the Best Buy exclusive Thinkpad Yoga 14 is an absolute winner. Highly recommended. Even at its regular retail price of $800, the Ideapad Miix 700 is a lower end Surface Pro 4 clone that is hard to pass up. But at $600 through April 30 for Costco members, it’s an absolute steal. For $100 less than the regular retail price of the 4GB entry level m3 SP4, the Miix 700 boasts an Intel Core m5-6Y54 and 8 GB of RAM and 128 GB SSD. The onboard Intel HD Graphics 515 powers a 12-inch 2160 x 1440 display, equal to the SP4. A folio keyboard cover is also included but the Wacom Active ES pen is sold separately. At its sale price, the Miix is about $400 cheaper than the less powerful Surface Pro with keyboard! There’s got to be a catch, right? Fortunately for bargain hunters, there are only a few items of concern. It would be impossible to tell the Miix 700 apart from the Microsoft tablet except for the gold finish back and watchband hinges. The folio keyboard cover has a faux leather cover. These fashion miscues can easily be overlooked. Unfortunately, there is one hideous marketing decision that will require significant elbow grease to rectify. The geniuses at Lenovo decided to apply a sticker to the top right and side of the tablet with a strong adhesive that leaves behind a sticky, difficult to remove residue. Prepare to spend a lot of wasted time cleaning up this mess. (Lenovo states on its forum that future Miix tablets won’t have the appliques). Aesthetics and self-inflicted issues aside, the only real item of concern is the keyboard cover, which is a little flaky despite a firmware fix. Without the patch, the cursor regularly jumps around randomly, making it nearly impossible to type a sentence without multiple errors. After the patch, the keyboard is more accurate, although the touchpad is hyper-sensitive. Throughout a week of use, I’ve accidentally opened or closed multiple items due to errant taps on the trackpad. Clicking and selecting is also challenging. Lastly, the keyboard is not backlit, which is a major limitation if you need to use your tablet in low-lit situations. Consequently, if word processing is your primary activity, you may be out of luck when it comes to the Miix 700. Unlike the Spartan plain cardboard packaging of Thinkpad products, the Ideapad line is consumer oriented and the Miix 700 ships in the nicest package I’ve seen from Lenovo. Available ports are a little skimpy: one USB 2.0 that doubles as the power input, one USB 3.0, a microHDMI output and a microSD slot tucked under the kickstand, borrowing again from the Surface Pro design. Marketed as a relatively low cost retail device, the Ideapad also features a lot of pre-installed crapware like McAfee Internet Security that you will want to wipe off right away. I do appreciate when OEMs provide utilities that phone home and let you know when driver updates are available. The Lenovo Companion app purports to do this, but I still had to visit Lenovo.com support to find the keyboard firmware. Pen support is also not enabled by default and required installation of another firmware fix. Unfortunately, although the Miix 700 works with a variety of Wacom Active ES pens, it is not supported by the Feel driver, so you won’t be able to configure any pen buttons or run Wintab applications. As I wrote above, the Lenovo Thinkpad Pen Pro is sold separately for $40. It's not the best Wacom Active ES pen option on the market due to its very short nib and small hover distance. If you decide to stick with the Lenovo brand, packs of pen clips are also available that attach the pen via the USB 3.0 connector (a pretty big waste of a port on an already limited device). Like the Thinkpad Yoga 14, the Miix’s screen is a little slick and could benefit from a screen protector, but using it with a Toshiba DynaPad TruPen is otherwise very pleasant. Until Wacom releases its Bamboo Smart pen and we determine its compatibility, the Toshiba DynaPad TruPen is the best choice for Miix users. The Miix 700’s Core m5 processor offers negligible performance improvements over the Surface Pro 4’s m3, so benchmark results are very close. But in real world use, you’re likely to see more benefit from the extra 4 GB of RAM. The Miix runs absolutely silently and battery life is very good. Lenovo claims it will provide 9 hours of video playback, but I got about six hours or typing, browsing and drawing. If you are looking for a bargain and can overlook the sticker and temperamental folio keyboard, the Miix 700 is the real deal.